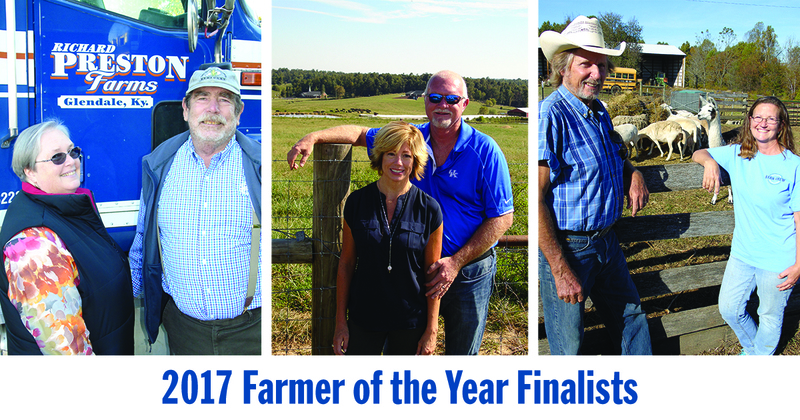 Louisville, Kentucky, November 8, 2017 - The three finalists that will vie for Kentucky Farm Bureau's "Farmer of the Year" honors have been chosen as preliminary judging for the 2017 award has come to a close. Darren Luttrell of Ohio County, Richard Preston of Hardin County, and Lisa Robards of Bullitt County are the three finalists. KFB initiated a "Farmer of the Year" awards program as a way to recognize its members for their commitment to excellence in agriculture, efficiency in farming practices, sound financial management and outstanding leadership in their county Farm Bureau and other civic organizations. The award recognizes an individual whose personal efforts not only strengthen the state's agriculture industry but also demonstrate service and leadership on and off the farm. Since 1982, Darren Luttrell has been a part of the family farming operation and has seen production acres double from 1,800 to 3,600 consisting of corn and soybeans. He also operates eight broiler houses and raises 380 head of beef cattle. In addition, he has also been associated with a leading agriculture technology company as a dealer for the last 16 years. While this part of his overall farming experience is not a major revenue contributor, Luttrell said it has allowed him to know and utilize their technology quickly and work with some of the best and most progressive farmers in the area. The Luttrell operation is a true family farm. His two sons are both involved full-time on the farm primarily focusing on the grain and cattle operations while wife Debbie helps him with the poultry business. Luttrell has used different precision farming tools over the years to help reduce input costs and has always been willing to try new farming practices. He would like to expand his grain system and grow more acres in the future. He also plans to give his sons more responsibility in the decision-making process on the farm. "The key to our future is a well-executed succession plan that will ensure a successful operation for many years to come," said Luttrell. He has been active in the Ohio County Farm Bureau, the local Chamber of Commerce, his church and the local school system where he is known as "Farmer Luttrell" and has helped teach children about life on the farm. 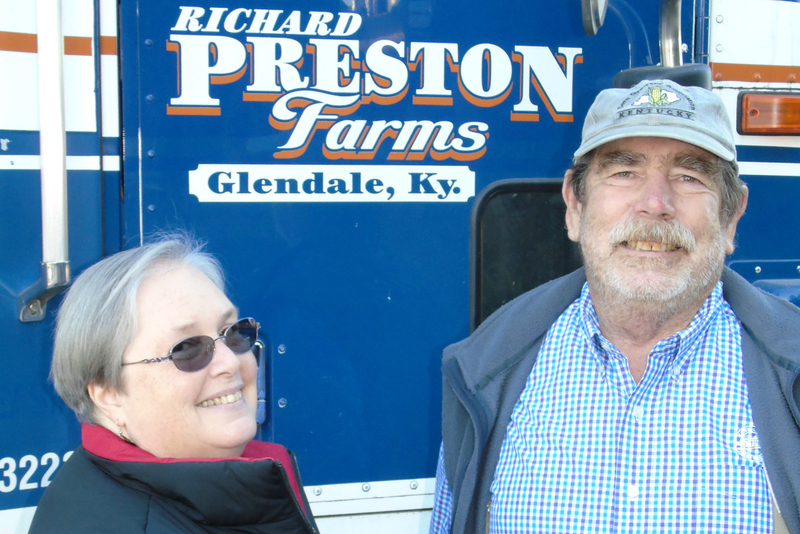 Richard Preston, a native of Kentucky, began his farming operation 39 year ago after coming from a science career in California and establishing himself as a first-generation farmer. He started by buying feeder pigs and finishing them using a computer program he developed to guide his decisions. From there he utilized older farm equipment and assistance from local extension to help with capital issues and his inexperience. Over the past four decades, Preston's operation has grown from 269 acres to 2,415 of owned and leased land. Today he raises several no-till crops including white and yellow corn wheat, soybeans, canola and rye. Preston notes that he raises both GMO and non-GMO corn and beans while utilizing cover crops on over half of his land. Preston has also served in many capacities with his local Farm Bureau as a director since 2004 and is the current Vice President. From a community involvement standpoint, he has coached youth basketball and baseball, served as an elementary school PTA president and served as the chair of the Hardin County Cable Commission. In addition, Preston works with young farmers in his area and has advocated making the Farm Bill more young farmer-friendly. He would like to continue his farming career and accomplish his many goals by incorporating more technology on the farm. "I want to continue to learn how to best manage cover crops to improve profit and environmental stewardship," he said. Lisa Robards became involved in farming by marrying a life-long farmer. She said he gave her three bred ewes for their first Christmas as a married couple and her farming career was born. "I quickly learned through books and mentors, how to care for my small flock and how to spin and weave with wool," she said. 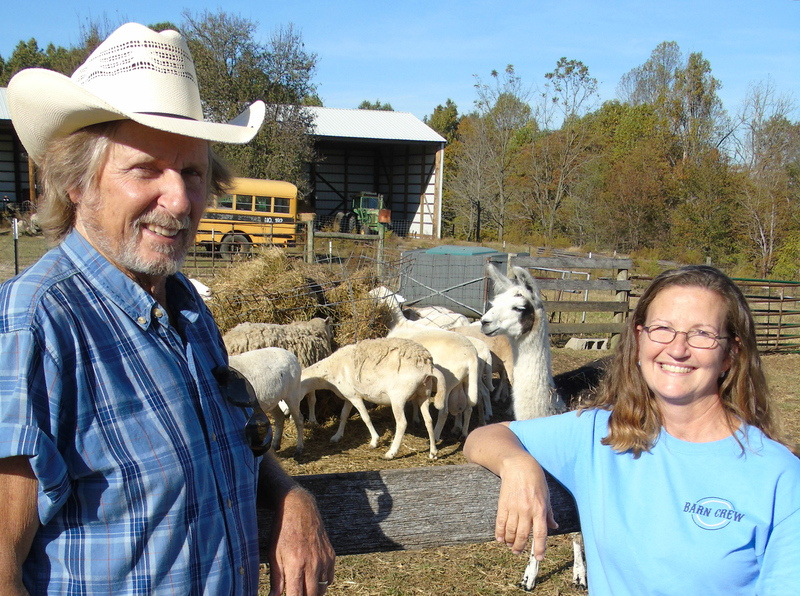 Today, in addition to her sheep, Robards raises cattle, horses, chickens and llamas on the family farm that consist of 733 acres of owned and leased land. The farm's crops include corn, soybeans, hay, wheat and rye. In addition to marketing through conventional methods for grains, she also uses direct marketing for free-range eggs and fleece products. Robards has been involved as a 4-H volunteer leader, in church committees, as president of the local Extension Ag Council and has organized mentoring programs for at-risk youth. She has also been active in her local Farm Bureau serving on the Women's and Education Committees as well as attending numerous conferences and conventions. 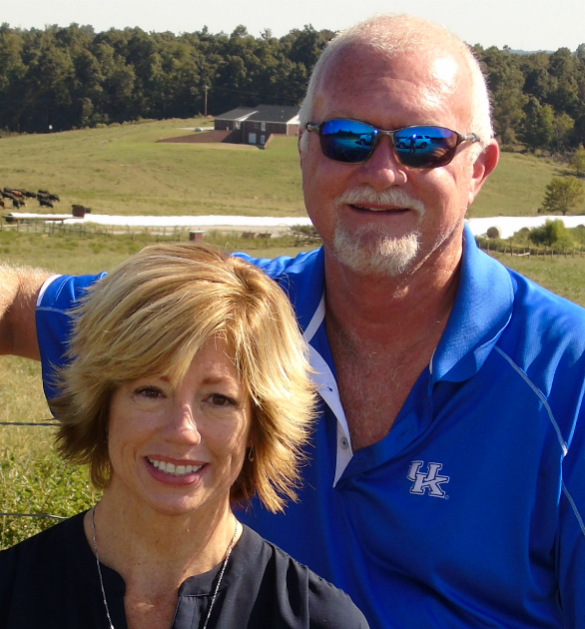 Robards said one of her first obstacles to overcome as a beginning farmer was a lack of knowledge, something she remedied by utilizing learning resources in the state such as the University of Kentucky and the Kentucky Sheet and Wool Producers Association. She plans to continue efforts to learn more about her profession as a way to increase sales. Judges met in late-September to conduct interviews with the finalists and visit the farms. The "Farmer of the Year" recipient will be announced at KFB's 2017 state annual meeting in Louisville on December 1 and will receive $1,000 from the Kentucky Farm Bureau Federation. All three finalists will be given a KFB jacket, and the runners up will each receive $250 from the Kentucky Farm Bureau Federation. In addition to the statewide recognition and prizes, KFB's "Farmer of the Year" winner will represent Kentucky in the Swisher Sweets/Sunbelt Ag Expo Southeastern "Farmer of the Year" contest, the South's most prestigious agricultural award, in Moultrie, Georgia, in October of 2018. Last year's winner received a $15,000 cash award plus $2,500 as a state winner from Swisher International, the use of a Massey Ferguson tractor for a year from Massey Ferguson North America, a $500 gift certificate from the Southern States cooperative and a Columbia jacket from Ivey's Outdoor and Farm Supply. To download a photo of Darren Luttrell, please click here. To download a photo of Richard Preston, please click here. To download a photo of Lisa Robards, please click here.